NEW DELHI, November 30, 2013. The Federation of Indian Chambers of Commerce and Industry (FICCI) has cautioned the Government against re-examination of the Request for Proposals (RFP) issued to global aviation majors to replace the ageing AVRO fleet of Transport Aircraft of the IAF. In a communication to Mr. A K Antony, Minister of Defence, FICCI has stated that any such re-examination and subsequent roll-back of RFP will mark a setback to the open and transparent approach and the innovative model cleared by the DAC of a new categorization of Buy & Make with ToT to an Indian Production Agency (IPA). 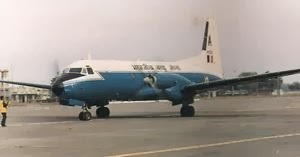 Recent media reports with regard to the re-examination of the Request for Proposals (RFP) issued to global aviation majors like Airbus Military, Embraer, Lockheed Martin, Ilyushin, Saab, Antonov and AleniaAeronautica to replace the ageing AVRO fleet of Transport Aircraft of the IAF have caused apprehensions amongst private sector players that the open and transparent manner in which Indian Industry was involved over the last three years in conceptualizing the innovative model in this proposal through interactions at various levels at HQ IDS and Service HQs, would send the wrong signal regarding the opening up of defence production and doing away with the erstwhile nomination regime. FICCI has stated that the proposal envisaging buying 16 transport aircraft in flyaway condition to meet the immediate operational requirements of the IAF and setting up a production facility for producing the remaining fleet of 40 aircraft in the country is commendable as it would create a second line of aircraft production. This innovative model is seen by Indian industry as a farsighted measure to build capabilities in Indian industry that would act as a force multiplier and pave the way for domestic capability creation to address the growing needs of the Indian defence as well as civilian aerospace sectors. The involvement of the private sector from the very beginning sent the right signals and gave Indian Industry confidence about the MoD's intent to truly open up Defence production and doing away with the erstwhile nomination regime. It also made them initiate and engage in serious discussions with foreign Aircraft producers for possible future tie ups. This also augurs well with the intention of the Defence Production Policy which calls for a move towards "substantive self-reliance "and of the DPP that envisages opening of the sector to the Private Sector". FICCI has commended the change in thinking of the MoD and collective wisdom that prevailed to support a second line of production of Aircrafts. The benefits of this strategy are unique as it is envisaged that the indigenous content in this second line of production will increase gradually from 30% to 60% over the life of the programme. Also capabilities acquired through the Maintenance ToT will reduce cost to the exchequer over the life period. There exist further opportunities for industry with possible civilian spinoffs and export opportunities. According to Ms. Naina Lal Kidwai, President of FICCI, "This golden opportunity to the private sector should not be frittered away since it will not only enhance India's strategic capability in the Aerospace sector but have multiple spinoffs in ancillary industry development, job creation and export opportunities." The chamber has said that a roll-back in the RFP for the Avro replacement program and bringing in 'nomination' for placing orders for aircraft is likely to be a repeat of the submarine story. FICCI has brought to the attention of the MOD that as per a decision taken at the highest level of Government of India, it was decided more than a decade back to bring into existence a second line in the manufacture of Submarines to meet the operational and strategic requirements of the Indian Navy. However, till date this decision has not seen the light of day due to various pressure groups clamoring for continuance of 'nomination' to the PSU Shipyards. All this while Navy kept experiencing depletion of its operational submarine fleet; India not only lost the opportunity of timely and periodic induction of Indigenously built submarines to its fleet, but also an opportunity to harness indigenous capabilities and capacities built in the Private Sector . It is universally known and understood that competition has always benefited the user while both private and public sector become more efficient. We need competition and to create a strong supply chain in India . Contrary to the apprehensions that HAL is being denied the opportunity to participate in the program, nothing stops HAL to team up with IPA in a Consortium / SPV model and contribute to the program through value propositions by sharing its vast experience as well as facilities invested in to by MoD,. It is also noteworthy, said FICCI, that HAL has its order books full with ongoing nominated programmes like Su 30 MKI fighters, Hawk AJT, ALH Dhruv, Chetak Helicopter, a mega program like MMRCA awaiting to be concluded in near future and development programmes like LCA, IJT, LCH, FGFA and upgrades of Jaguar and Mirage 2000. Saddling it with another major program will not be in the strategic interests of the nation. "While there are some concerns raised about the private sector like certifications, physical infrastructure etc. these are not insurmountable and are in fact symptomatic of the continued nomination policy of the past, rightly being remedied by MoD under your leadership," stated Dr. Didar Singh, Secretary General, FICCI, in his letter to the Defence Minister. FICCI fully supports initiatives to create a second line of aircraft building and has sought early intervention of the Raksha Mantri to dispel all doubts and accord expeditious clearance to this project of national importance which could be a game changer for our Military and Civilian Aerospace industry. The Chamber has, therefore, advised against retraction of the RFP which will slow down the development of capabilities in the Indian aerospace sector.